This is one of those “twofer” products. It is a set of hydraulic bumpstop holders AND a set of 1” front spring spacers all in one. A hydraulic bumpstop gives you a smooth & controlled suspension stop as you make your way across rough roads (or catch a little air). They help protect your axle from harsh suspension impacts, prevents the suspension from bottoming out, and make for a smoother ride overall. These mounts are designed for use with the ICON 2.0 Hydraulic bumpstops. You can order the bumpstops with your holders or separately (bumpstops are NOT automatically included). 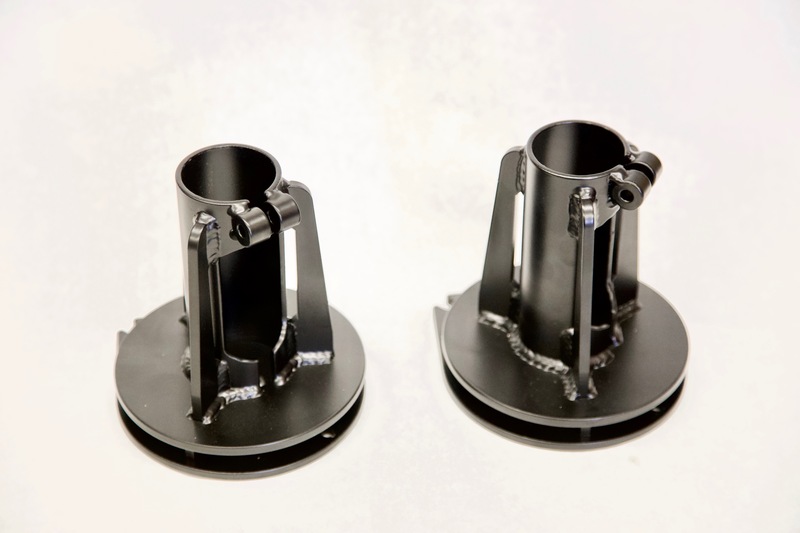 The holders are designed to fit on both FJ and FZJ variants, all mounting hardware is included.